· Based on the second set of satellite images of sugarcane crop acreage across the country procured in the middle of September 2016, ISMA has calculated its first advance estimates of sugar production during 2016-17 sugar season. The same has been based on estimates of sugarcane acreage, yields, recovery and cane drawal. In July 2016, ISMA had released its preliminary estimates of sugar production for 2016-17 SS, based on the first survey of satellite mapping carried out in June 2016. · On the basis of the September 2016 satellite images, ISMA has estimated the total cane acreage at 49.99 lakh hectares, which is about 5% less than 2015-16 SS on pan India basis. As per second set of satellite images, sugar production in 2016-17 SS is estimated at 233.7 lac tons, around 1 laks ton higher as compared to the preliminary estimates made in July 2016 at 232.6 lac tons. · The total cane acreage in Maharashtra is estimated to be 8.10 lakh hectares (0.30 lac ha. more than the preliminary estimates made in July 2016), down 23% as compared to last year. During 2016-17 SS, it is estimated that yield per ha. may be more or less at the same level as that of last year. Due to increase in area as compared to preliminary estimates, it is estimated that sugar production may go up by 1 lac tons from the previous estimates made in July 2016. Sugar production in Maharashtra during 2016-17 SS, is estimated at 62.7 lac tons, 25% less than actual sugar production in Maharashtra of 84.11 lac tons in 2015-16 SS. State of Maharashtra has received 5% more than normal rainfall during the SW monsoon of 2016, increasing water availability in all major reservoirs to provide water for irrigation in sugarcane producing Districts. Good amount of rains in cane grand growth period would help in improvement of sugar recovery % than what was expected earlier. However, above estimates are based on sugar recovery% of 11.05%, significantly lower to 11.3% achieved in 2015-16 SS. · Second set of satellite images also reveal that sugarcane area in U.P. is expected to be more or less same that of previous season i.e. at 23.10 lac ha. Though there were poor rainfall in the initial months monsoon season, rains in the latter part of SW monsoon would help in sugarcane yield, resulting in higher sugarcane production in 2016-17 SS. Since sugar mills have cleared cane price of farmers to large extent, it is expected that the drawal% towards sugar production would also increase in 2016-17 SS and cane diversion to other sweeteners like gur and khandsari may fall. Also, the acreage under the high yielding and high recovery variety Co0238 is much more than last year. Accordingly, sugar production in 2016-17 is estimated at 76.60 lac tons, as compared to 68.40 lac tons produced in 2015-16 SS. · Sugarcane acreage in Karnataka has dropped by 19% in 2016-17 SS as compared to previous season. As compared to the cane area of 5.10 lac ha. in 2015-16 SS, sugarcane area in 2016-17 SS is expected to be about 4.15 lac ha. Due to drought like situation during the cane plantation period, cane yield and cane production is expected to drop by 5% and 20%, respectively. Sugar production in 2016-17 SS is estimated at 31.9 lac tons, as compared to 40.7 lac tons produced in 2015-16 SS. · The rainfall in the entire State of Tamil Nadu during pre-monsoon and South West Monsoon period has been good. Around 2.65 lakh hectares are expected to be under sugarcane cultivation, which is marginally higher to 2015-16 SS. Sufficient rainfall in the monsoon period is expected to help increase sugarcane yields and sugar recovery. Therefore, it is estimated that the State will produce around 15.6 lakh tons of sugar in 2016-17, which will be about 2 lac tons higher than 2015-16 SS. · As regards States like Gujarat, Haryana, Punjab, Andhra Pradesh & Telangana, sugar production in 2016-17 SS is either slightly higher than previous year or at the same level as that of last year. · Sugar production in Bihar, Uttarakhand and Madhya Pradesh & Chhattisgarh is expected to increase in 2016-17 SS, as compared to previous season. During 2016-17 SS, Bihar is expected to produce 5.79 lac tons, Uttarkhand to produce 3.29 lac tons and Madhya Pradesh & Chhattisgarh would together produce 4.37 lac tons. · In 2015-16 SS (till 15th September), sugar mills have produced 250.5 lac tons of sugar and it is expected that mills may produce another 0.50 lac tons in the remaining 15 days, taking the total production in 2015-16 SS to 251 lac tons. · Sugar sales during 2015-16 SS have been at lower as compared to 2014-15 SS. The main reason for the drop in sales is the fact that sugar sales in the previous season i.e., 2014-15 SS had already witnessed a very steep abnormal jump from the previous year. Hence, there has been a correction this year. Till the end of August 2016, sugar mills have despatched 226.50 lac tons, which was 237 lakh tons to end of August last year. ISMA is estimating a higher sugar sales of 23-24 lac tons in September due to festival season and the pressure on some sugar mills to sell more sugar to achieve the stock levels of 37% by end of September’16 as per Government’s direction, which usually is on an average of around 20-21 lac tons. Accordingly, it is expected that domestic sales till September end i.e. for the 2015-16 SS, may be around 250-251 lac tons (as against 256 lac tons last year). This will leave a closing balance of around 75 lac tons as on 30th September, 2016, which may be higher if 23-24 lac tons is not sold by sugar mills. · With carry over stock of 75 lac tons from 2015-16 SS and expected sugar production of 234 lac tons in 2016-17, there will be enough sugar available in 2016-17 SS to meet the domestic demand of about 256 lac tons (considering a demand growth 2.5%) in the next season. There will thus be carry forward stocks of around 52 lac tons for 2017-18 sugar season, as on 1st October, 2017. 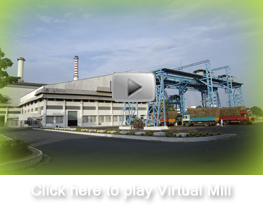 · As per past records, sugar mills produce on an average 18-20 lac tons in the first two months of the season i.e. October and November. Accordingly, this expected sugar production of 20 lac tons in the first two months of 2017-18 season would supplement the expected carry forward stock of 52 lac tons. Furthermore, with normal monsoon across the country, including in major sugarcane producing States like Maharashtra and North Karnataka, sowing of sugarcane is back to normal and, therefore, 2017-18 SS is expected to give surplus sugar production again. · Considering healthy opening balance of 75 lac tons and estimated sugar production of 234 lac tons in 2016-17 SS, country would have a sufficient sugar stocks in 2017-18 SS. Therefore, committee of ISMA unanimously agreed that there is no need to import sugar.